Fill in your details below and we will let you know within 24 hours if we can get House Of Cronies to you with haste! Build your own political party and compete against other players in the national elections. Recruit politicians through influence or buy them with corruption. Focus your resources on building the best potential cabinet or sabotaging your opponents. With tactics like cabinet reshuffles and Hawks investigations, to trips to the Saxonwold shebeen. 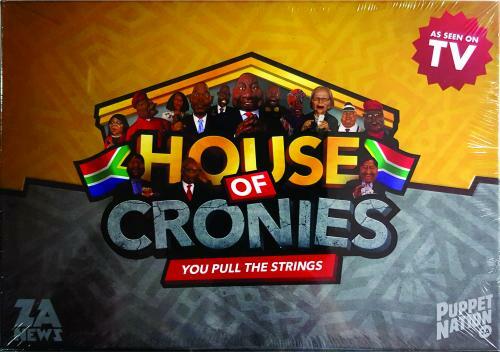 House of Cronies is the one game that lets YOU pull the strings and decide how far you are willing to go to win.